Friday. 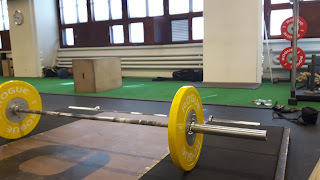 Metcon, 20min amrap: 7 hspu, 7 jerk @ 50kg, 21 box, 21 lunges. Result, 399 reps. It was very difficult for me to come up with pleasing training plans. Exceptionally there were not a plan when entering the gym and it had to be created on the spot. Had tons of ideas which finally turned out to be the following. In the beginning this felt like okay, I'm gonna dominate this. Pretty soon I realized that was too cocky. 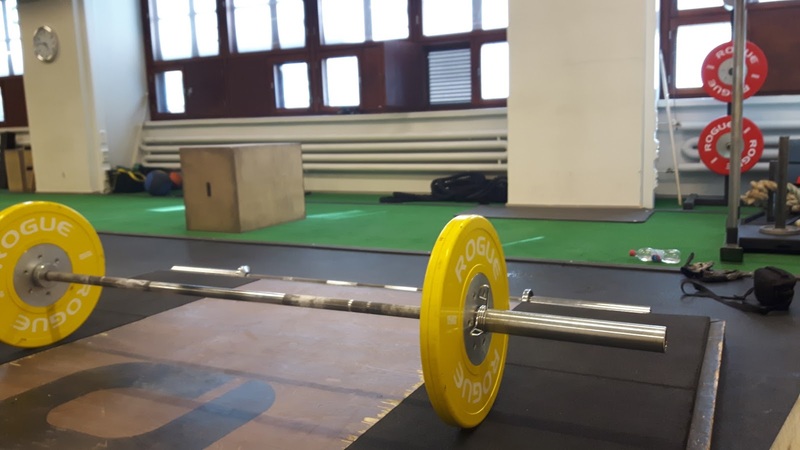 The movements were paired intentionally so that two shoulder-demolishers needed to be completed together and the lower body smashes also right after the other. It worked just like I thought. Shoulders got fired up on the hspu/jerk combo. Jerks also gave pressure to legs so doing box / lunges right after really got tricky. It was a great workout and kept my breathing high and sweating like a pig. Needed to get my head around again after recovering for a while I wrote this one. It meant there were 10 ring dips that needed to be completed unbroken. At least that was the initial plan. At some point I wondered how many rounds I could do without having to drop down from the rings. I'm very happy all 10 rounds got through as planned as this is not my best strength. The next two rounds were written to build engine and endurance on the bike. It worked perfectly as a combo.